We have researched more than 100 mommy blogs and came up with a list of 21 best blogs in India. Blogging is a great way of connecting with other people and one of best way of making passive income online by working from home. We recommend more moms to come forward and start sharing their parenting journey with the world. You can take out some time when your baby is sleeping or started going to school. You can connect with mom bloggers in our list who may support you in your initial blogging days (check their about page for their contact information). There is no ranking but we sorted the list based on the popularity and usefulness to the mums. Sangeetha started her blog during her pregnancy phase to share with the fellow mom and mom-to-be’s her journey of being a mom; a working mom. In the year 2014, She quit her corporate career to be a full-time professional parenting and lifestyle blogger. Around 3,00,000 moms visit her blog every month for reading articles pertaining to pregnancy, baby n mom care, parenting, baby food recipes. Mansi started her blog to help parents make informed decisions and is today India’s most trusted source of information among parents. She is a mom of two kids, always on the go to make life simple for parents and shares reviews about new products, recipes, places to visit, things to do and most important have fun with your kids. Kidsstoppress is now an enormously successful brand and you can watch their videos on Youtube. Shruti is a writer, blogger, entrepreneur, a published (co)author, and struggling to find the balance transitioning from a full time working mom to a now stay – at – home -MOM. She quit her day job (in Sept 2015) am now pursuing her greatest passion. She shares home projects, easy recipes, parenting tips, kids crafts, and more. Dr.Hemapriya, a.k.a the “Doctor Mommy” is a medical doctor by profession, no longer into active medical practice as her two little moppets keep her pretty much busy. But, this has not stopped her from putting her medical knowledge to good use. She brings her medical knowledge to address parenting issues for new and recent mommies. Priya started ShishuWorld as an idea to have a go-to place for Indian parents and parents to be , who are away from their families, either in India or abroad. To look at parenting, the Indian way. Combining our age-old traditions which have been proven for aeons, as well as modern advice which is relevant for current times. Priya is an ex-techie with over 10 years of experience in the field of software and she is now a full-time mommy and a blogger. Over 100,000 parents visit her youtube channel and blog every month for articles on baby and toddler food & recipes, monthly food charts, home remedies for kids, simple craft ideas as well as practical advice for mothers to keep their sanity. Umamaheswari Anandane started her blog with Vedic maths being her priority and gradually writing about diverse topics in depth suiting her lifestyle around her family and children. She even contributed articles to the number of brands and magazines being considered one of the influential mommy bloggers. One unique aspect of her blog is involving her kids in her posts be it creative writing or drawing/crafts. As her posts involve everything around daily life which many people can relate to, she has a decent traffic to her blog reading articles about parenting and lifestyle. She is working as a certified lactation counsellor and a baby wearing promoter. 1000’s of moms visit her blog every month for reading articles about baby led solids, potty training, cloth diapering, breastfeeding, co-sleeping, kids’ book reviews and a common sense approach to parenting. Chetna started blogging on MomJuction where she shares information from getting pregnant to taking care of teens. She put all her efforts to simplify the journey of parenthood by defining different stages of childhood into five major categories – Baby, Toddler, Kid, Preteen and Early Teen. Jaishri started her blog to help moms raise healthy and happy babies. She along with her entire team of moms share their true stories and tips which include Baby food recipes, product reviews, pregnancy and post-natal care tips, and new topics like Travel and Fashion. She is working as an IT professional. Over 80K moms visit her blog every month for reading articles about parenting, pregnancy, baby food recipes, babycare, toddlers and a lot more. Neha is a full-time happy mom of three years old son. She raised her child without any help of elders and she help other moms who do not have support of family members. Initially she read and subscribed baby care blogs and websites to understand mother n baby care in the best possible way and now she is contributing to mom community. Prerna became first point of contact amongst friends and family for kid’s related advice because she was the first one to have kids in her friend circle. She realised the potential when her blogs with mommy advice were shared by emails amongst friends like a bible. Slowly but steadily, it has taken it’s own identity and today she is a full-time-work-at-home mommy blogger. Her blog is all about her personal experiences and the blog posts are a piece of her each time. Dr. Sania started her lifestyle blog – all things GUD! to share some worthy experiences & thoughtful insights with her readers. She believes being a hands-on mother of a 9 year old has taught her better things in life than heavy medical books ever did! The ”Being Mommy” section of her blog receives heavy traffic where she shares parenting tips, easy recipes and health issues prevalent in kids. Kejal started BeingMomma to help the new Indian mom through her most exciting but confusing phase of motherhood, that is from pregnancy to toddlerhood. She has a very active FB page with more than 35k moms and she has over 30K site visits from readers who want insights on various topics related to parenting. She has over 30 professionals writing on her blog which include doctors, nutritionists, counsellors etc. Menaka started her blog in 2008 to share her knowledge about the various ways of keeping modern mothers updated about the lost Indian methods of parenting and natural living. She has recently become a student pursuing PhD in Agricultural Microbiology and is a full-time blogger and a content developer. Around 10,000 moms visit her blog every month for reading articles about various momma worries. In 2014, Nancy had this tiny and delicate girl in her hands. The sweet and sour experience of motherhood made her start her articles on parenting and fitness post motherhood. She is working as a Management professional in an MNC in Gurgaon. About 1000+ number of moms visit her blog every month to find articles on parenting and fitness tips. Swapna is a science graduate, an MBA in marketing but she quit her job after becoming mom. She loves writing about parenting and helping other moms. You can find parenting tips, product reviews, fun activities for kids, birthday party, decor ideas and interesting tidbits on her blog. Nidhi is an architect by profession but now stay at home mom. She loves to cook and share delicious recipes on her blog. A must to check blog for healthy recipes even if your kid does not want to eat vegetables. Rashmie runs her blog to share her experiences of raising her seven year old daughter, Pari. She is homeschooling Pari and share a totally different perspective of educating children. Learn more about natural living, holistic living and unschooling. Kiddie Stories 365 is all about imaginative, simple and easy to narrate stories for kids. These stories are written by Aditi Bose – a mother who loves to engage her child with simple and imaginative tales about various things. Anshu believes that bringing up a child all alone is no mean feat which she is learning the hard way. She shares her experiences with you, her hits and misses, moments of joy and despair and her life after the baby. Amruta started her blog and Youtube channel to pursue her passion. She loves to document her Montessori – inspired journey on her YouTube channel & blog and has helped 1000’s of moms to enjoy this journey at their homes. She is the first Indian mother to start a YouTube channel on Early Learning and Montessori. Let me know which is your favourite blog in the comments. I’m so surprised and honored to see my blog on this list. Thanks so much for thinking of me. I really appreciate it to baby. It is very helpful for every mother. Thank you for your points. Thanks for sharing this list with us. Awesome valuable thoughts about mom. Mom is really playing a very big role for crib the baby. I have a question: How long time can we give breast milk to the newborn baby? Thank you for sharing best moms world here through this article. I have bookmarked this list of moms blogger for sharing parenting blogs. Thanks for sharing a valuable post us. Really good information shared with us. Its really helpful for moms and parents.keep Going Aloka . Thank’s Aloka for sharing such lovely bloggers stories. Most of them are must follow. Keep up the great work. Keep helping, keep rocking ! Good Post! Thanks for sharing such a valuable post about pregnancy mom’s, really these are very helpful. We will follow these updates and tips. Hi. This was an interesting read. Appreciate what your website is doing. I am a blogger and author (Book due for release next year). I tend to write humorously and this outlook has crafted my writing style as well as my views on parenting and raising my 3 year old. 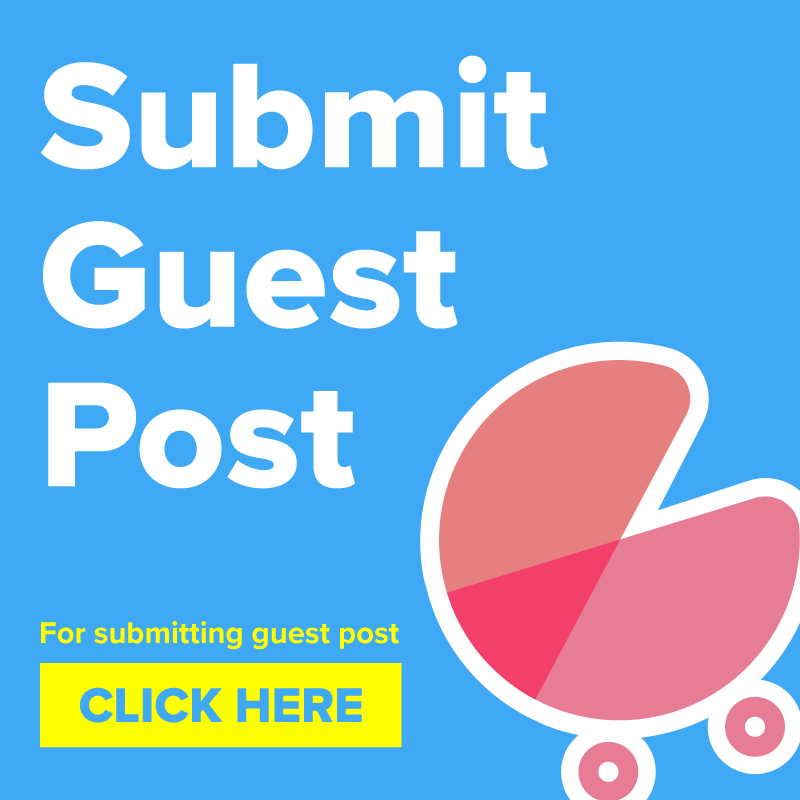 I would love to write a guest post for you as starters. Do let me know if this is something that interests you and your team. Thank you so much for the great blog sharing with us.. Very good information. Thank you for sharing this list. All the mommies are amazing. And their blogs help a lot 🙂 Being a mom blogger myself, these ladies inspire me everyday. There are really very helpful blogs. I’m not here but I’m very happy to see great list of mommy blogger. Keep it continue! The breastfeeding week has ended and with it, all the articles ‘enlightening’ us about the importance of mother’s milk and baby feeding have ended too. The world has celebrated breastfeeding and now the joy is only yours – the moms. not sure if it classifies as a mom Blog, but I guess some mom is behind this cute girls vlog and toy reviews, you need to check it out. Some of the stuff is really cute and interesting. These blogs are really wonderful. Especially it is about mothers so more reason to like it. These blogs are really amazing and interesting, thanks for such lovely blogs. Thank you for your kind words. Do keep visiting our website regularly. Great post shared i really need this post your blog is very useful to me. Awesome blog. I’ve been read all the comments and went through the experience of all the moms. Frankly speaking, I would like to share one of my personal experience with you all which will help you to feed your baby. I’m a mom of a 7 months old baby girl and she was born weak. After trying the doctors prescription, I was fed up because my baby was not healthy. I was recommended by a friend of mine to use happibo products. When I started using the products and found that the products are worth buying. I’m really very happy with the products as my baby loves the food and she is healthy now. Nyc collection, this blog includes lot many things that every mother should know. It is very helpful for every mother.Thank you for your points. Thanks Baishali. Compliments by users such as you, is what keeps us going. 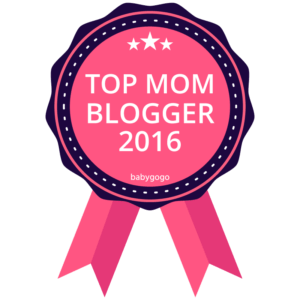 Thank you posting this helpful blog on the best blogs for mothers. I browsed through a few of them and was really impressed by the content. A lot of helpful tips and suggestions can be gained from these blogs. Looking forward to read your next post. Hi, quite a useful read. All your articles are pretty useful for a reader. I am bookmarking your website for further reads. amazing list… I think you should add http://www.motheropedia.com to the list too amazing resource for parents and mommies. What a wonderful list of inspiring fellow mom-bloggers. I have gone through your site.Moms are really busy in their busy schedule.Blogging can reduce their stress and help to be connected.We also run a website for moms health and food.For more informatio please visit to our website. I am also a blogger.Can I write for your website? Good job mommies… You all are an inspiration for new comers like us. Excellent post. Thanks for sharing a nice post with us. I read your full article. Thank’s Aloka for sharing these stories, blogs and their mommy experiences with us. Hello Pardeep. Thanks for the much needed list. Lovely to be mentioned with these awesome bloggers. 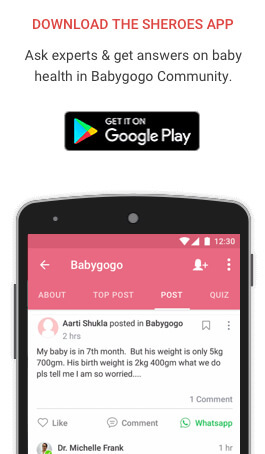 Thank you babygogo.in lovely to be featured amongst all these beautiful mommies☺. Your blog is appreciable Prerna. Thank you Pardeep for the mention! Delighted to be a part of the list. Thanks!! 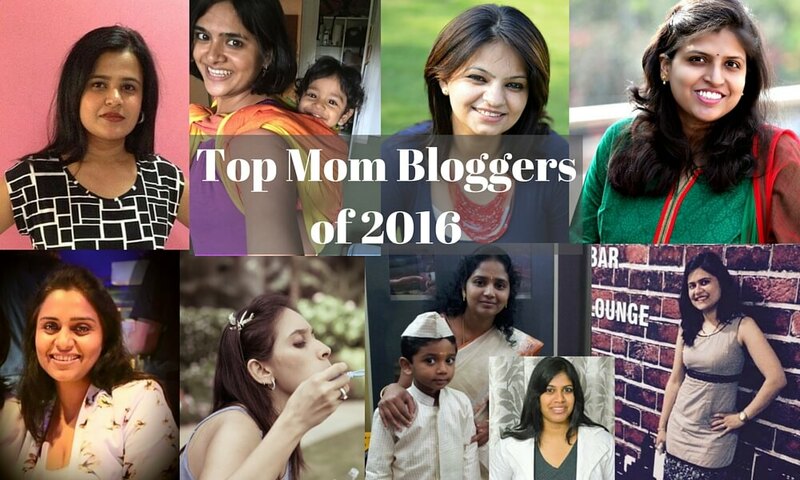 Good to have you in the list of awesome mom bloggers. I appreciate the work that you are doing for mom community. You can start writing for us if you wish. I will contact you via email. You have an awesome blog, Aloka. Keep helping moms! !